What a difference a few weeks makes. 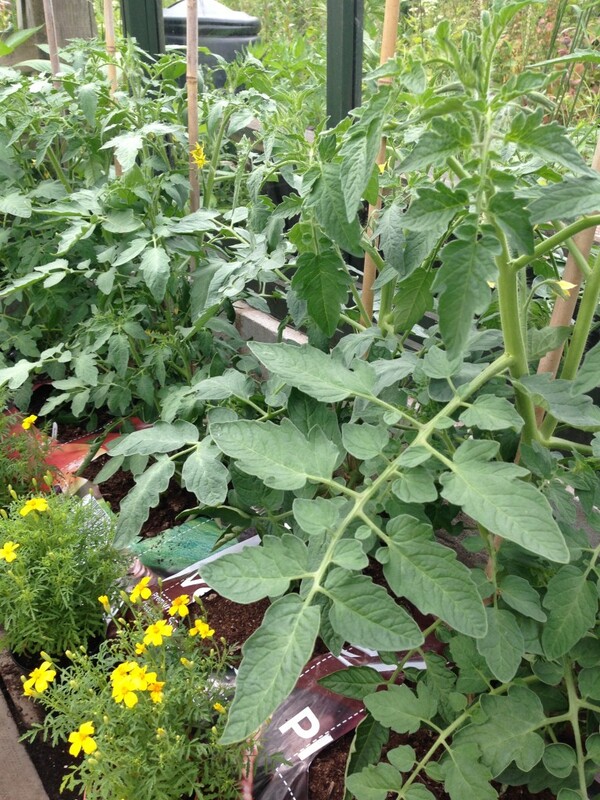 At the start of June, with a chill remaining in the air, I was despairing of ever getting a crop of anything. But now – the pictures tell the story. 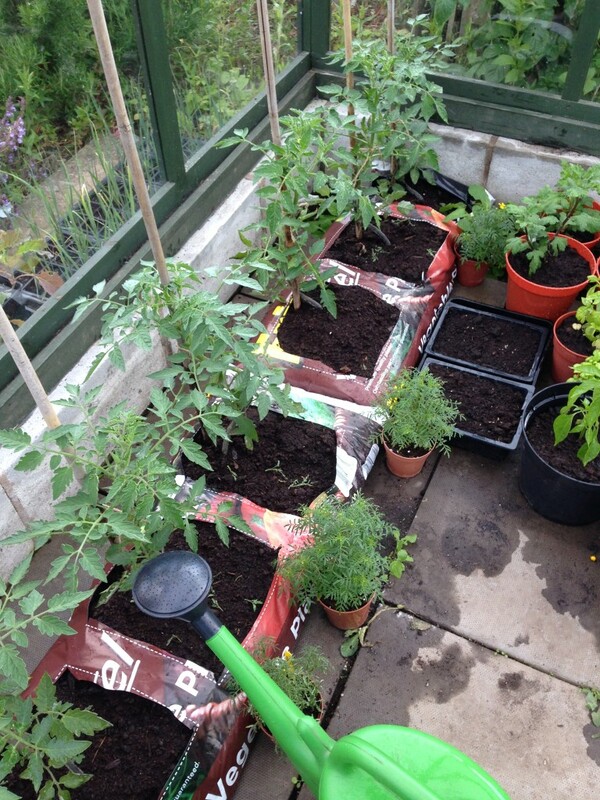 First up the tomatoes. My Dad told me that I’d caused them un-necessary stress (he often says that about his children) but maybe a bit of pressure early in life did them good, for they are now enormous and bear fruit. 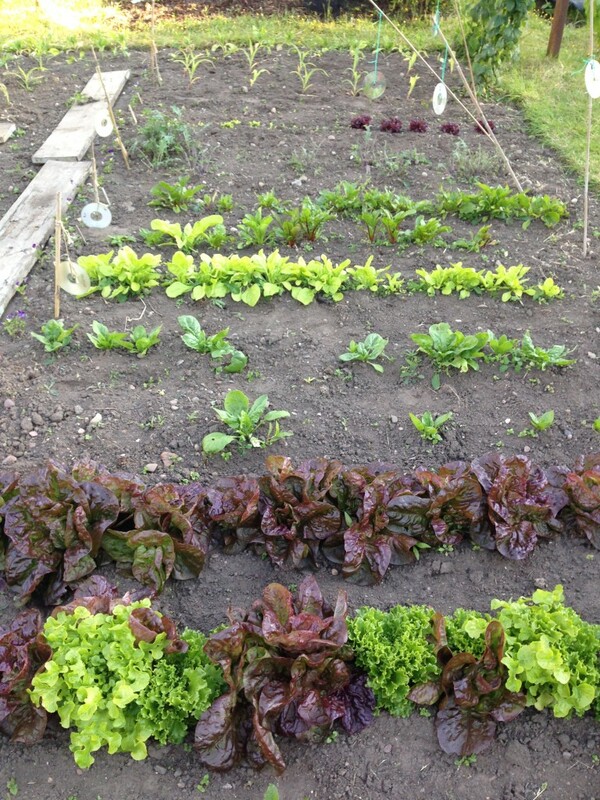 Outside, the lettuce, spinach, chard and beets were teeny tiny at the start of June. 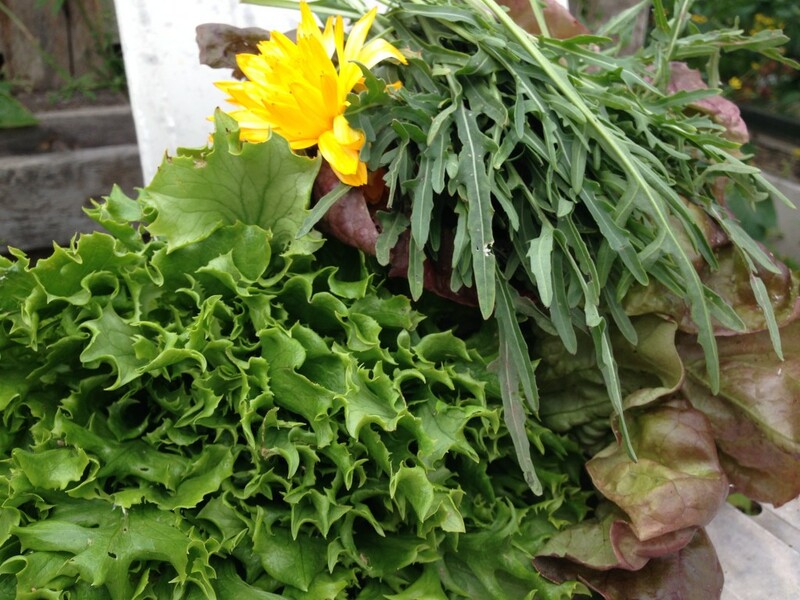 Now, the lettuce have hearts and I am gifting bags of greens to anyone polite enough to say they’d like some. …and on 27 June. 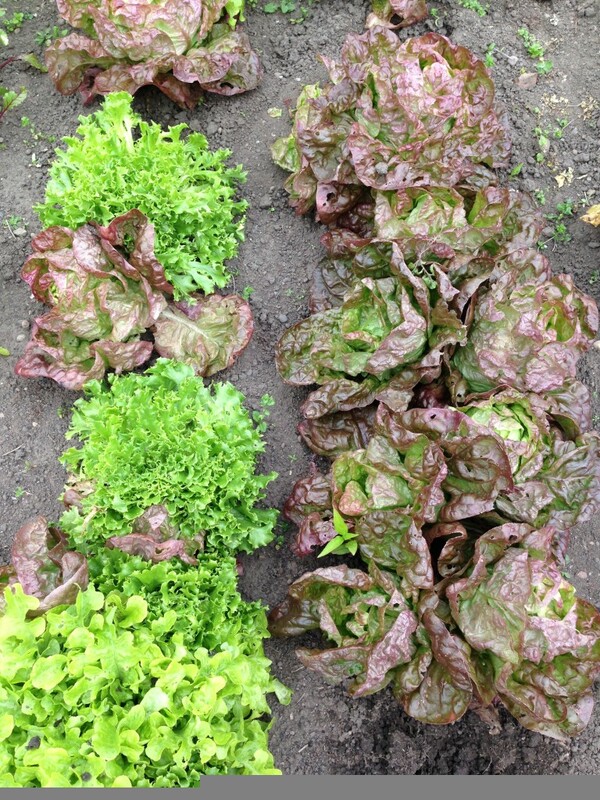 Actual proper lettuces! 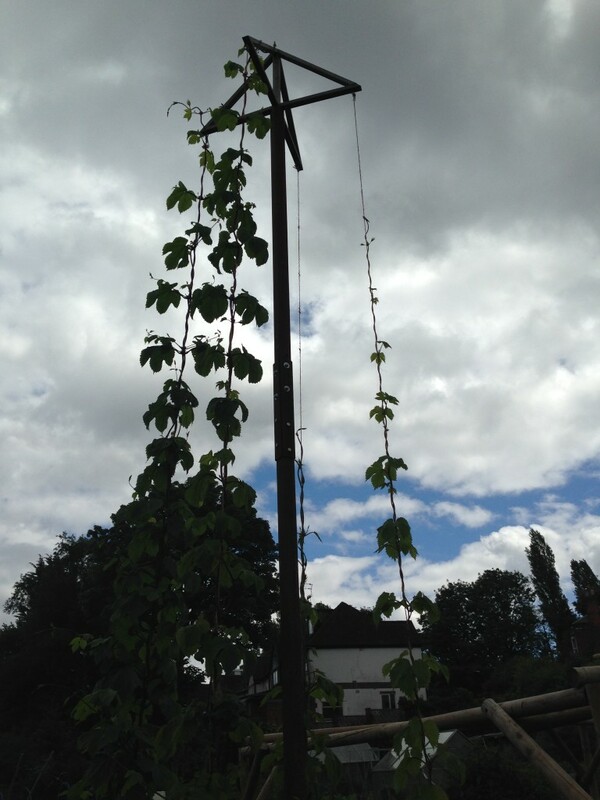 On the other side of the patch, the artichoke and hops are trying to out-do each other with bolshy behaviour. 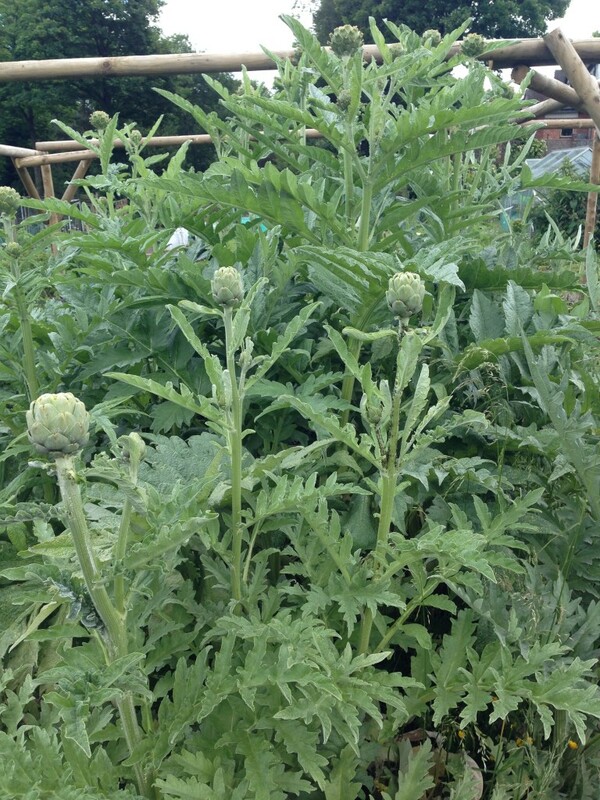 The hops are taller, but the artichoke has the edge when it comes to statuesque elegance. 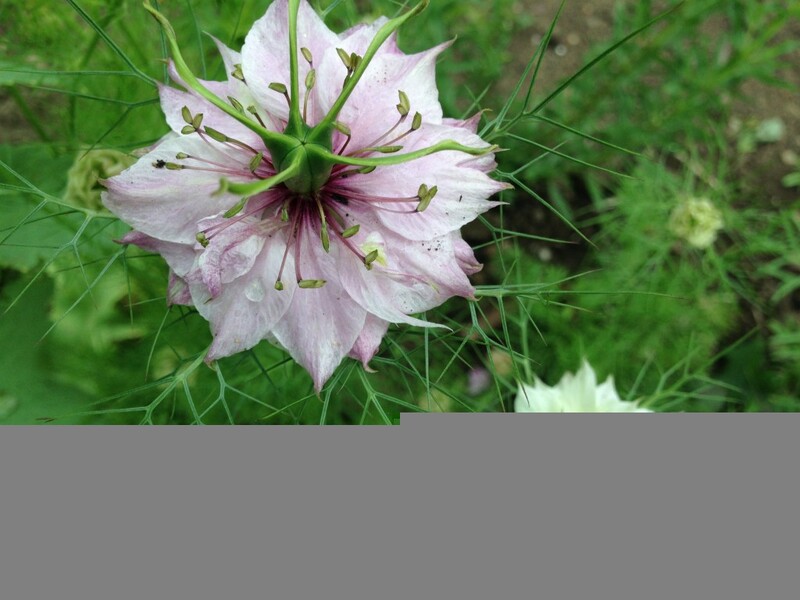 Newly fashionable, the crysanths have been planted out with the hope of long-lived stems for cutting later in the year. They nestle alongside the leeks and onions; autumn bounty. For now though it’s season’s pickings. 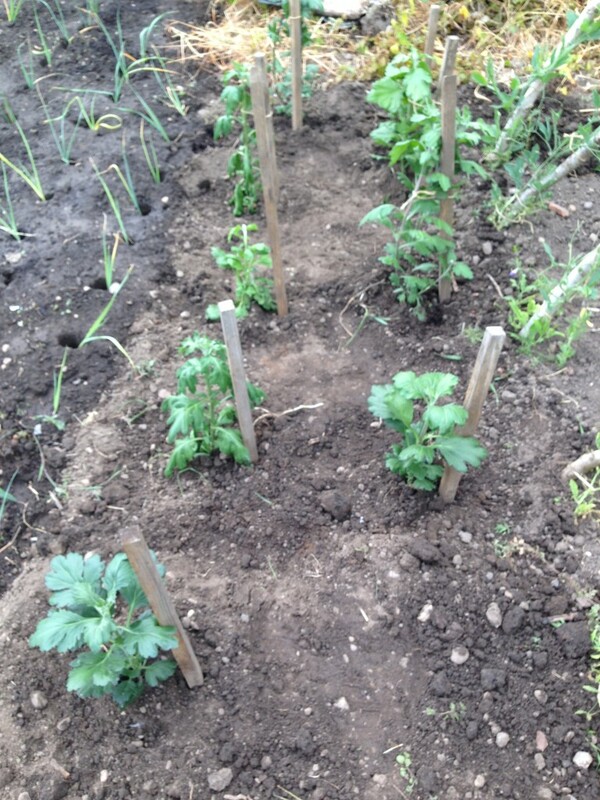 Sweet peas and love in a mist; rocket and lettuce and spinach; redcurrants and (nearly) blackcurrants. It’s not all unbridled success. I’ve had to ditch the cavalo nero and purple sprouting broccoli seedings, both neglected for too long, and half the climbing beans are a write off. Speaking of beans, the first bobby beans are now to be found in Worcestershire farm shops; Matt claims they are Not A Real Thing and are actually French beans. But I’ve always known these super-long green pods as bobby beans. A Worcestershire oddity? Perhaps. 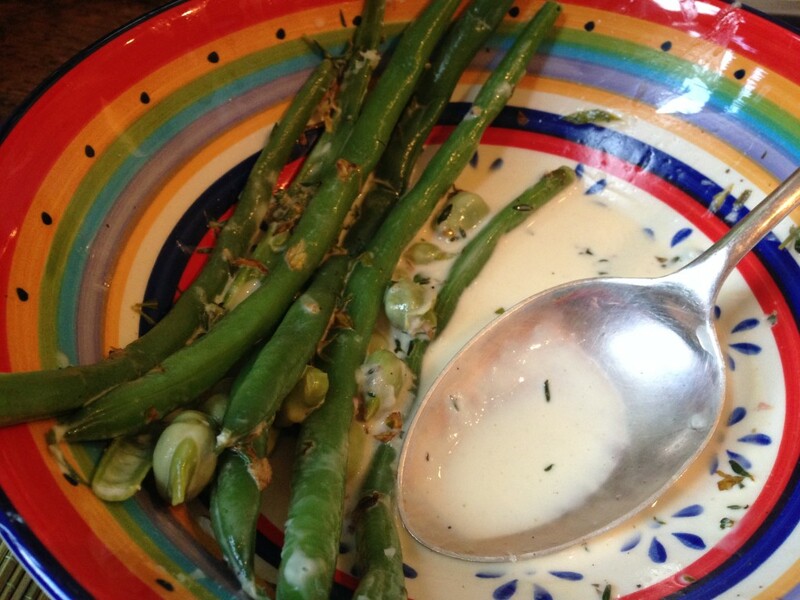 Try them blanched and then tossed with savoury, herby, parmesan-y cream for a lovely side-dish. If bobby beans are Not A Real Thing where you live, this is also good with broad beans, French beans, runner beans and peas. Chopped herbs, about 1 tablespoon. Soft ones are best; consider hyssop, savoury, tarragon, thyme, oregano. 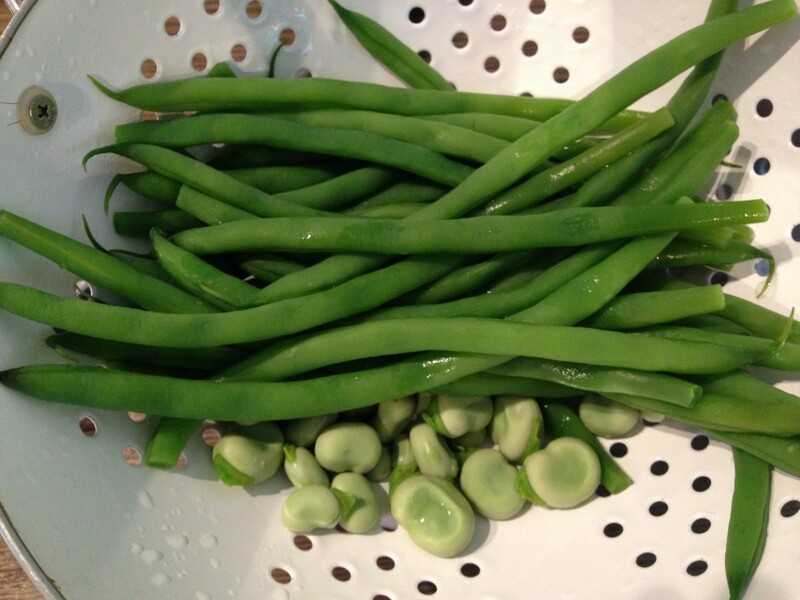 First, trim your beans (I’ve used a handful of bobby beans and some sweet baby broad beans from the allotment). Blanch them in boiling water until just soft, then refresh under the cold tap. 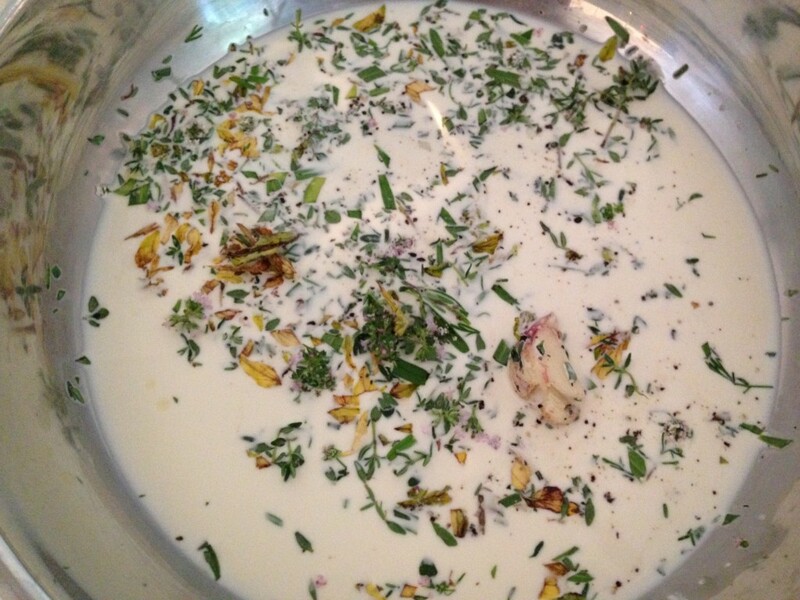 Meanwhile, warm a good splash of double cream in a wide pan with a smashed clove of garlic (leave it whole) and a handful of chopped soft herbs. I’ve used hyssop, tarragon, thyme and oregano. Savoury would also be good. Leave it to stand for a few minutes for the flavours to mingle, then remove the garlic. Finally, add the beans to the herby cream and toss the lot together, season with salt and pepper, and warm it all through over a low heat. Serve topped with lots of parmesan and perhaps a splash of lemon juice. 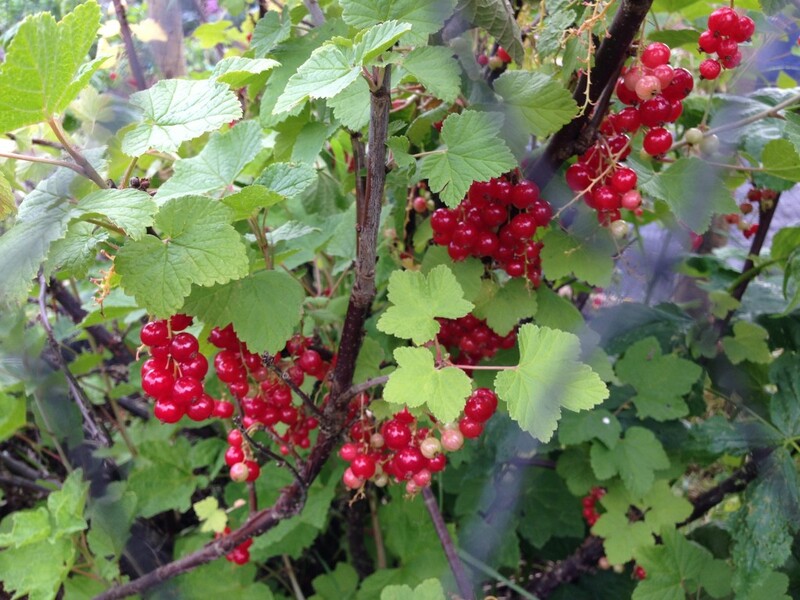 This entry was posted in Allotment, Recipes, Savoury, Summer and tagged artichoke, bobby beans, broad beans, Hops, lettuce, redcurrant, Tomatoes. Bookmark the permalink. ,Bobby beans’ are so called in the Stallard family cos that was the only way we could get big brother to eat them !!. There are such beans found at Hillers but I couldn’t find any seed. They were also called bobby beans at Gwilliams. It’s a thing!